Trenton man shot, killed in Chambersburg | Homicide Watch Trenton | Mark every death. Remember every victim. Follow every case. A 32-year-old Hispanic man was shot and killed late Friday in the Chambersburg neighborhood, police said. 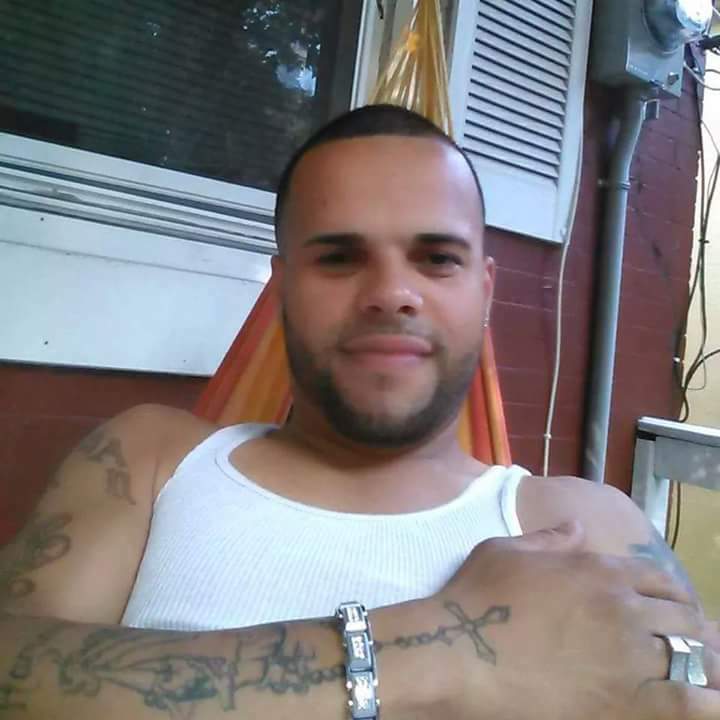 Trenton resident Jonathan Jimenez of the 200 block of Hamilton Avenue was found lying in the street unconscious and unresponsive about 11 p.m. after suffering a gunshot wound through the chest, authorities said. The victim was rushed to Capital Health Regional Medical Center, where he was pronounced dead, becoming the city’s 13th homicide victim of 2016, police said. The shooting occurred in front of 35 Cummings Ave. about a half block away from Whittaker Avenue, according to the Mercer County Prosecutor’s Office. The gunman shot Jimenez and then hopped inside a vehicle. The shooter — described only as a Hispanic male — fled the scene in the vehicle, which was occupied by another Hispanic male suspect, police said. The suspects drove the vehicle a few blocks away, parked it on Elmer Street and fled the area on foot, according to Trenton Police Capt. Donald Fillinger, citing witness observations. Police located the vehicle and have processed it for fingerprints, DNA and anything else of evidential value, Fillinger said Saturday afternoon. With Jimenez being fatally gunned down Friday night, “We will be praying for that family,” said the Rev. Lukata Mjumbe, a member of the United Mercer Interfaith Organization that prays at the scenes of Trenton homicide locations within 24 hours of a slaying. Mjumbe on Saturday said victims of violent crimes in New Jersey and their family members are eligible to receive thousands of dollars in mental health counseling, funeral allowances and other monetary benefits courtesy of the state’s Victims of Crime Compensation Office. “A city like Trenton that suffers so much in shootings and murders disproportionately to our numbers, you really have to take advantage of those programs,” Mjumbe said. Trenton Police earlier on Friday arrested a 16-year-old boy on attempted murder charges in connection with a shooting unrelated to the homicide of Jimenez. The suspect, whose name was not released because he is a juvenile, allegedly shot a vehicle multiple times about 11 a.m. Friday in an attempt to kill the 46-year-old Ocean County man who was driving the vehicle, police said. The victim had driven into the capital city from Whiting to collect paperwork from Catholic Charities. The victim then drove over to East Hanover Street seeking to collect an $80 debt from a drug dealer associate, according to police, who said the associate was the 16-year-old suspect. The Ocean County man located the boy and informed the juvenile that he needed the money owed to him. The teenager said he would get the money but came back to the area with a handgun and fired multiple shots, striking the victim’s vehicle at least four times, police said. None of the gunshots struck the Ocean County man. He immediately fled the area in his vehicle and drove to Trenton Police headquarters to report the incident, police said. Police processed the victim’s vehicle for criminal evidence and took a statement from the victim, who provided police with the identity of the suspected shooter. Officers later found the suspect and charged him with criminal attempt homicide and numerous other charges, according to Capt. Fillinger. Although the victim admitted he was seeking to collect a drug payment, Fillinger said police are not charging the victim with anything. 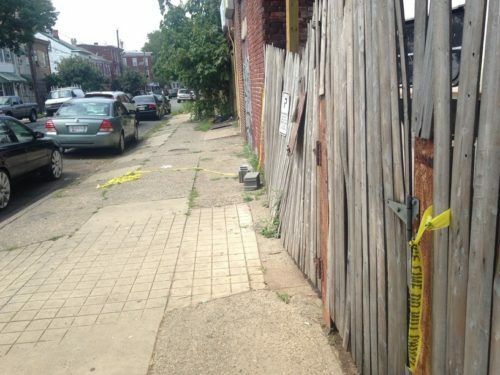 In another violent crime, Trenton Police on Saturday were investigating a strong arm robbery that occurred about 1 p.m. on the 400 block of Southard Street near Brunswick Avenue. A 58-year-old Trenton man was riding on his bicycle when a suspect forced the victim off the bike and punched the victim in his head, police said. The impact of the punch knocked the victim to the ground, causing the victim to suffer contusions to his forehead. The suspect, described as a 5-foot-6 black male of thin build in his 20s, robbed the victim of his iPhone and fled down the side of Southard Street toward the Delaware and Raritan Canal State Park Trail. The suspect was further described as having short black hair and was wearing a green T-shirt and black jeans, police said. The bicyclist was taken to the hospital for treatment, according to Fillinger. Anyone with information on the strong-arm robbery can contact the Trenton Police Confidential Tip Line at (609) 989-3663. 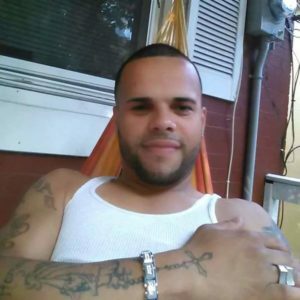 Anyone with information on Jimenez’s slaying is urged to contact the Mercer County Homicide Task Force at (609) 989-6406.